If you are replacing a gas water heating unit, there are benefits to choosing a gas water heater as a replacement. Aside from the most obvious advantage, not needing to run a gas line to your home, here are a few more benefits to choosing gas as your energy source. If you are building a home we usually work with Kre8 Constructions WA (https://www.kre8wa.com.au/our-services/) to add your gas heating unit at a suitable time of the project. Gas water heaters replenish hot water much quicker than electric water heaters. If you or your household use significant amounts of hot water, you should have a gas-powered water heater to keep up with your needs. Running a gas water heater is more cost effective than an electric water heater. Even if you factor in the cost of maintaining a tank of hot water, you will spend less on your energy bills with a gas water heating unit. You can replace your gas powered hot water tank with a tankless gas-powered water heater to enjoy greater energy savings. Our installation specialists can usually drain and remove your old water heating unit quite quickly. 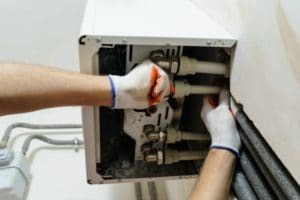 The preparation process is as simple as turning off the gas, draining the tank, disconnecting the tank, and removing it. No worries about hauling the old tank away, we will dispose of it properly. 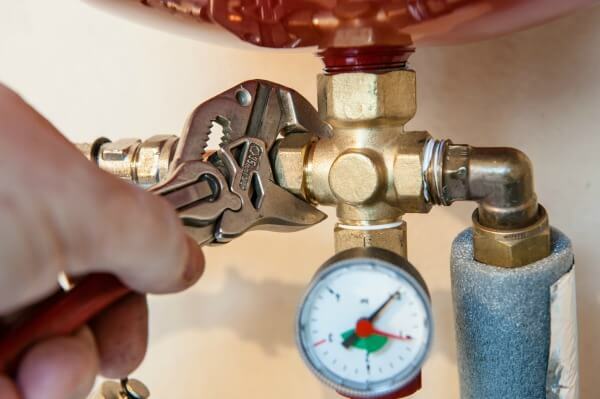 We typically can complete a gas water heater installation in under two hours. Installing a tankless system usually takes an hour or an hour and a half longer to install. Please note that this is just an estimate based on our past 30 years of experience. Once the hook ups are complete, we will turn on the gas and test your new water heating system. We will also set up annual maintenance to be sure you get the longest life possible from your water heater. 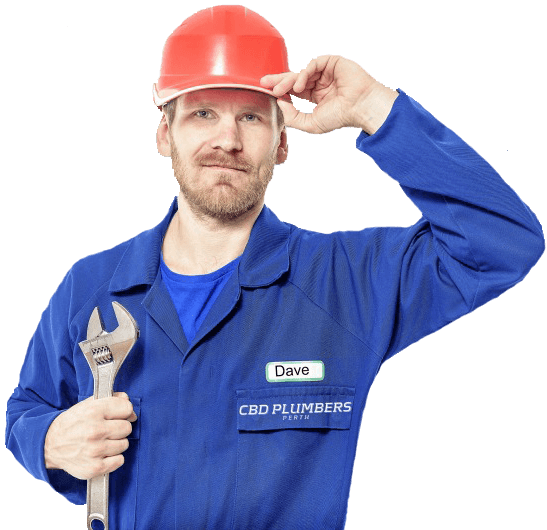 At CBD Plumbers Perth, we guarantee all our work beyond the warranty given by the manufacturer. In most cases, gas water heating units (tanks as well as tankless) are reliable and will last up to 15 years or longer when given the proper maintenance. Keeping your water heating unit running as long as possible is the main reason we set up yearly checkups for the units we install. Occasionally, even the most reliable and well cared for appliance experiences problems. 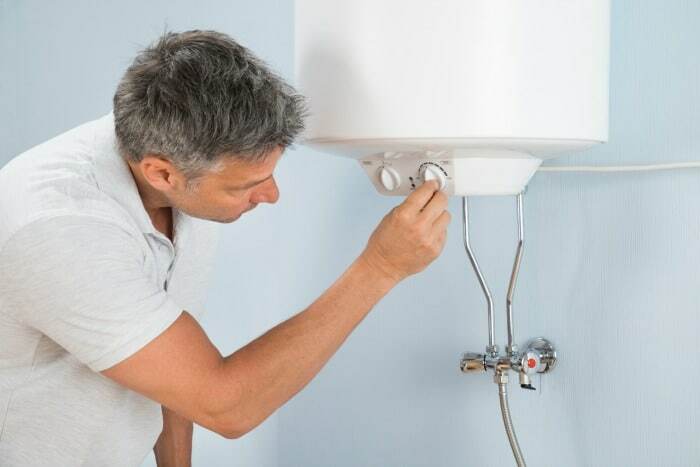 There are some issues that are not uncommon for water heaters. If you are experiencing any of the following problems with your water heater, please do not hesitate to call us. There is a high likelihood that your unit is still under the manufacturer’s warranty as well as our warranty on our labor. Our certified technicians are skilled at diagnosing all types of plumbing difficulties, including problems common to water heating units. Once on the scene, our plumbing experts will get to work solving your water heating issues. Please do not be put off if we check for obvious oversights, the thermostat set at a low temperature, an unlit pilot light, or disturbances with the power source. We always like to rule out small miscues before beginning deeper diagnostics. Once we find what caused the problems, we will make necessary repairs or replacements as quickly as possible. 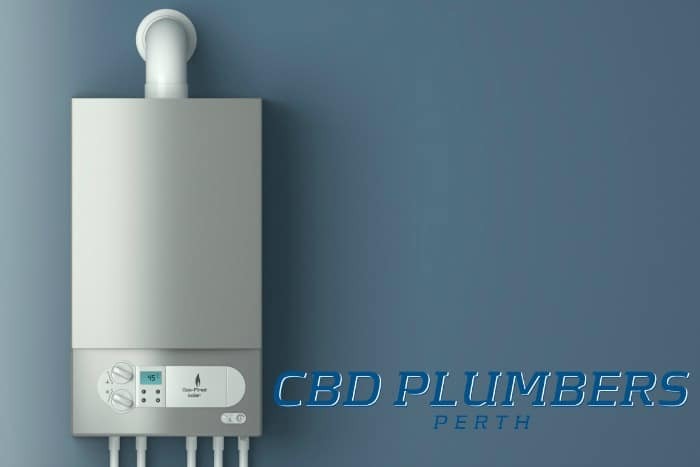 We at CBD Plumbers Perth can’t emphasize the importance of consistent maintenance of your gas water heating unit. 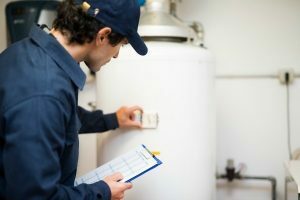 When servicing your water heater, we will inspect all connections, check the temperature and pressure valve, test your water temperature, and do a visual inspection of all areas of the water heater. Additionally, we will drain, flush, clean, and refill the tank. Servicing a tankless gas water heating unit is also a quick process. We will make sure the screen over the water intake is free from dirt or debris, drain and flush the system, and check hoses and connections. We also will clean the unit with white vinegar. Never use chemical cleaning products in any water heating system. Even after flushing the cleaning agents, trace amounts of harmful chemicals can remain and contaminate the home’s drinking water. Vinegar is harmless to ingest, and trace amounts are not noticeable. Here at CBD Plumbers Perth, we are proud of our decades of service to the city of Perth and its wonderful people. We want a chance to earn your business. Call us anytime and schedule a free service estimate; no job is too big or too small. We will be happy to come to your home or place of business and talk about your project, answer questions, or discuss your concerns.